It's very easy to blame the players or the coach, and they're not without fault. But in reality the England and Wales Cricket Board (ECB) deserves far more criticism than the team or the coaching staff. Over the last ten years the ECB has neglected the four-day 'first-class' domestic tournaments, concentrating instead on the more immediately lucrative 'Twenty20' format. T20 is the shortest form of cricket that is widely played, and has engaged millions around the world who wouldn't normally be interested in the sport. Clearly their interest is very welcome. But the obsession with it from the ECB and other cricket boards is unhealthy. From its inception T20 has been pushed by big businessmen - the now jailed Allen Stanford is a prime example. The recent cancellation of the South African 'T20 Global' league, and the failure of the Afro T20 and a Caribbean Premier League franchise to pay players, should give some pause for thought. T20 and other limited-overs matches are given priority and played in the middle of summer. First-class matches are primarily played in late spring and early autumn. This damages the development of spin bowlers in particular, and also means batsmen have less experience of playing spin. This can be seen at all levels. Aussie spin bowler Nathan Lyon left England's batsmen clueless in the Ashes, while England spinner Moeen Ali was ineffective. And there's the recent 7-0 home whitewash the India under-19s' spin-heavy bowling attack inflicted on us. Poor performance can't just be pinned on the marginalisation of first-class cricket, however. 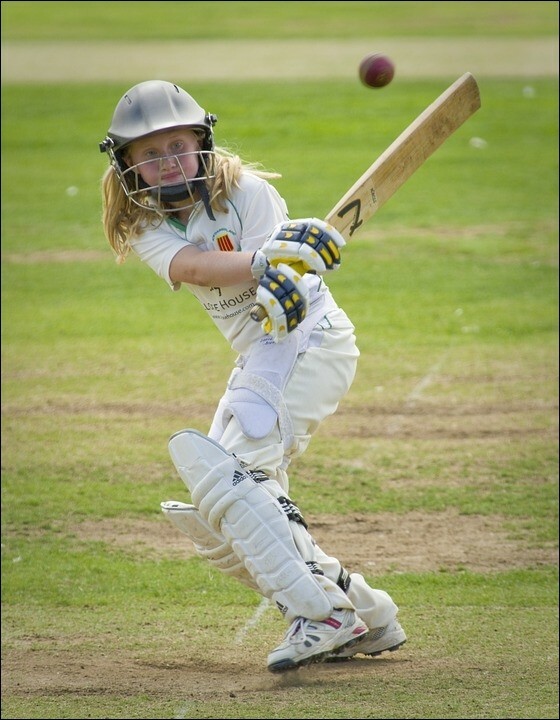 Cricket features marginally - if at all - in the majority of state schools. I went to junior school with a lad who now plays for Warwickshire - but we never played cricket together, because our school didn't do it! At senior school there was a gulf in class between us and the private schools - this was particularly noticeable in one match against them where we were eleven all out. Around a quarter of England players come through the Marylebone Cricket Club Universities system, restricted to the students of six elite universities. Despite England's recent lacklustre away results, the ECB has recently signed a "game-changing" £1.1 billion TV deal. All parties have been at pains to emphasise the BBC will have the rights to ten county T20 matches. But the deal will still mean all England international matches will show on Sky Sports - pricing many working class people out. England cricket matches were shown on terrestrial TV for almost 70 years prior to 2006 - the return of some domestic cricket does nothing to resolve the lack of international coverage. The 2005 Ashes series, one of the most thrilling Test series of all time, engaged people across the country and the world. This includes people the ECB is so keen to target with T20, those who "don't like cricket." This wasn't just because it was an incredible series - but because it was free on everyone's TV! The same story goes for the tickets. As of now, an adult ticket for the first day of the Test against India at Edgbaston is £56. Back in 2013, even the right-wing Daily Telegraph lamented the £83 cost of tickets to a test match at Durham, and rightly said "With tickets so expensive and no cricket on free-to-air TV, it is no wonder England are so reliant on private school talent." The Australian system isn't perfect, but it's certainly better by comparison. 'Sheffield Shield' domestic games are often free to attend, or around $10 (£5.80) for a day. Women's Big Bash League (WBBL) matches are all free! All National Cricket League (NCL) and Shield games are streamed online for free by Cricket Australia, along with some Women's NCL games. The popular T20 Big Bash League and WBBL are shown on terrestrial TV - in England, both are confined to BT Sport. Unfortunately, the ECB seems to see embarrassing defeats and the decline of first-class and Test cricket as a price worth paying for big-money TV deals. Ordinary people who want to see their counties and the England teams doing well in all forms of the game are a long way down the list of priorities. Under capitalism sport is a business, and as such advertising and sponsorship takes over, with huge sums of money involved. In the recent 'Ram Slam T20' even the ball boys and girls were sponsored! A socialist programme for sport should involve free broadcasting, cheap tickets and investing money into developing players at the grassroots level, giving everyone a chance to participate.